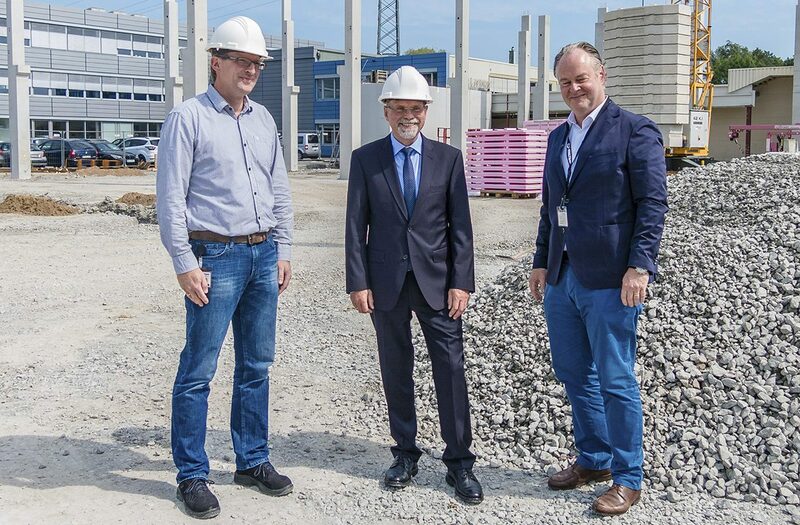 Germany-based labelling and inspection systems developer Multivac Marking & Inspection is expanding its Enger production facility in Germany with a €2.5m investment. The project includes an extension to the production hall, which will enable the logistics and assembly processes to be improved. Building work has already started with production planned for April next year. There are currently 197 staff in total employed at Enger and upon completion of the new building, the current operating area of around 5,800m² will increase by about 1,600m². The new assembly/production and logistics areas will occupy around 900 m², and machining and welding will take over 300m². The construction of the extension will be in line with the energy-saving regulations and renewable energy legislation. Around 20 drill piles, each with a length of 15m, will be installed to avoid subsidence of the new production facility. Construction of the extension is expected to be completed by the end of this year, while the internal work will be finished by early 2018. Multivac Marking & Inspection CEO Volker Gerloff said: “With this extension to our production hall, we primarily want to expand our production capacity in the sectors of conveyor belt labellers and inspection systems, so that we can meet the constantly increasing demand for these solutions. “Parallel to this, we will also use the opportunity after completion of the building work to further optimise our logistics and assembly processes. This will involve reorganizing all the process sequences in Goods Inward and Stores, as well as in the Machining, Assembly and Dispatch departments. Image: Multivac Marking & Inspection invests around 2.5 million euros for an extension to the production hall. Photo: Courtesy of MULTIVAC.